Lysine is necessary for the production of all proteins in the body and is required for collagen and elastin maintenance. Our Lysine is vegan and non-GMO. 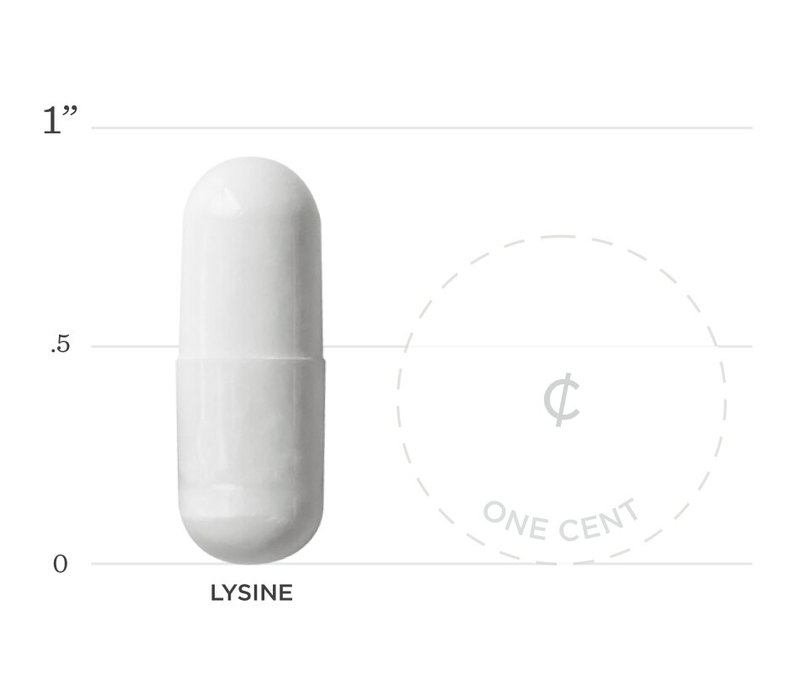 Lysine is an essential amino acid used as a remedy for treating a number of conditions including cold sores, stress, anxiety, and even bone health. Research shows L-Lysine can protect the body against cold sores and the length of an outbreak by blocking the activity of arginine, and amino acid that promotes the growth of HSV. 1. Azzarà A, Carulli G, Sbrana S, et al. Effects of lysine-arginine association on immune functions in patients with recurrent infections. Drugs Exp Clin Res. 1995;21(2):71-8. 2. Griffith RS, Walsh DE, Myrmel KH, Thompson RW, Behforooz A. Success of L-lysine therapy in frequently recurrent herpes simplex infection. Treatment and prophylaxis. Dermatologica. 1987;175(4):183-90. 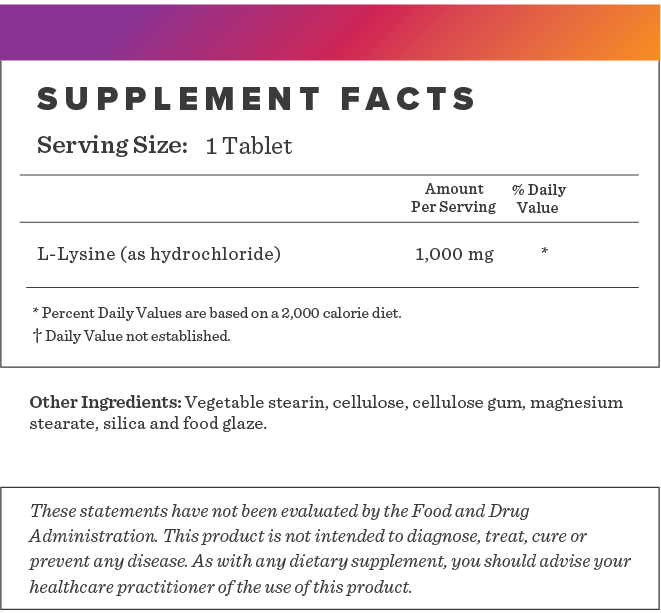 Below we've broken down the main functions of our L-Lysine 500mg and the benefits it can provide. In a double-blind, placebo-controlled study, L-lysine supplementation was shown to reduce the occurrence, severity, and healing time of cold sores. Since it's one of the building blocks for immune cells, supplementation encourages healthy immune responses during infections.